Russell Hackney was born in Stoke-on-Trent, England. The area, commonly known as The Potteries, is the birthplace of a 300-year industry that has produced the world’s most renowned ceramics such as Royal Doulton and Wedgwood. Russell comes from a long line of Master Ceramicists. His grandfather worked in a Potbank (pottery factory) for most of his life and his father, also in ceramics, spent much of his career modelling and mould making at various factories such as Portmerion. His father moved on to teaching and then later started his own company, Brunswick Ceramic Services. At 16, Russell joined the family business as his father’s apprentice. He modelled shapes and embossment designs for a variety of clients from large factories to small design firms and potters. One of his most notable achievements during that time was modelling a replica 19th Century clock that was presented to the Queen. 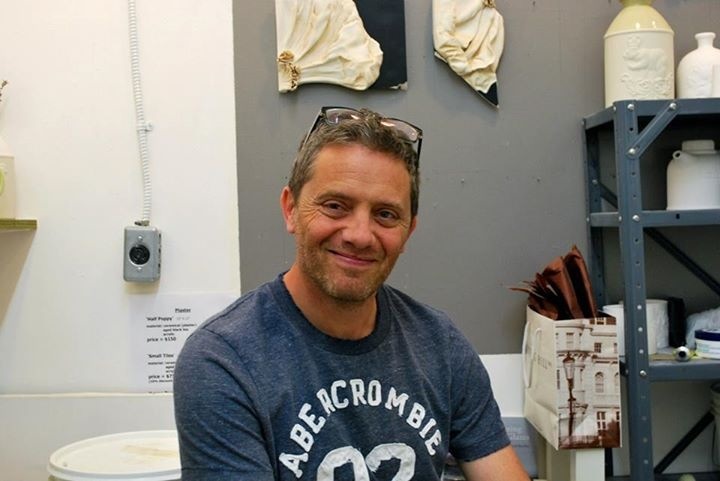 In 2002, looking for an adventure and an opportunity to expand on his own personal artistic expression, Russell, with his wife Wendy, immigrated to Canada and started Russell Hackney Ceramics. 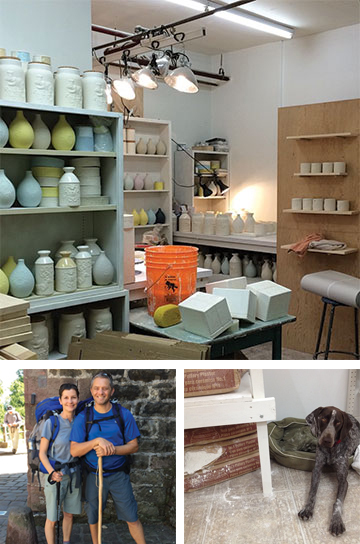 Today, in his Vancouver studio, Russell produces signature collections of ceramics, personal works, custom designs and provides mould-making services. Russell holds a Bachelor of Arts Degree in Three-Dimensional Design. B.C. with their dog, Olive.